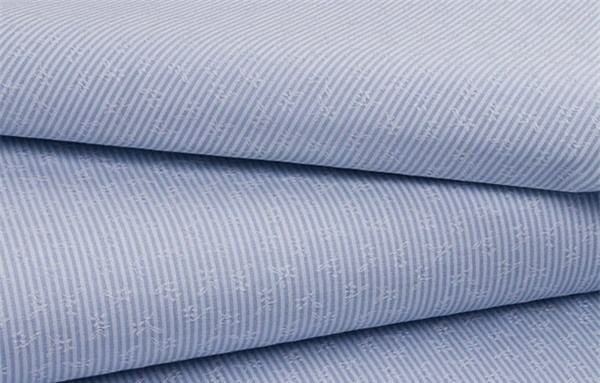 According to different customer requests and standards , there are different requirements for the washing size change of woven functional protective fabrics , nomal polyester woven product have low hygroscopicity itself and good thermal stability property , After setting at a temperature above 180 °C, the dimensional change small after washing, the shrinkage rate basically reaches the standard requirement of shrinkage rate, or it can reach the standard by adding a little overfeed when the final shape is processed, and no need to do pre-shrinking finishing. While cotton-containing cotton fibers and viscose fibers, as well as wool fiber fabrics and various fabrics blended with these fibers, Because after the long pad treatment of boiled, bleached, mercerized, and dyed, it generally has a large shrinkage rate, especially in the warp direction, reaching -5% or more, and the shrinkage rate is far below the national standard and ISO standard required by the customer and the values required by European and American standard. So its necessary to do the pre-shrink progress. The usual method is to pre-shrink on the pre-shrinking machine to meet the customer's shrinkage rate. IF client need cotton FR fabric ,CVC FR fabric ana Cotton-Nylon FR fabric , you should also carry out flat flame retardant processing on the long pad , The warp direction of the fabric is stretched again, and the shrinkage rate is less than guests required values , then its necessary to do pre-shrinkage before FR processing to reduce the shrinkage rate of the flame-retardant fabric. After the FR processing ,Still need to do pre-shrinkage finishing one more time , so that it will be easier to meet clients’ standard for the shrinkage rate . hope these knowledges can help you , to make our functional protective fabrics have better washing dimensional stability and better serve our customers.